For many patients, managing the long-term side effects of treatment can be just as hard as cancer treatment itself. Although lymphedema — painful swelling in a limb where lymph nodes have been removed — can be genetically inherited or developed, it is most commonly a complication of cancer treatment. 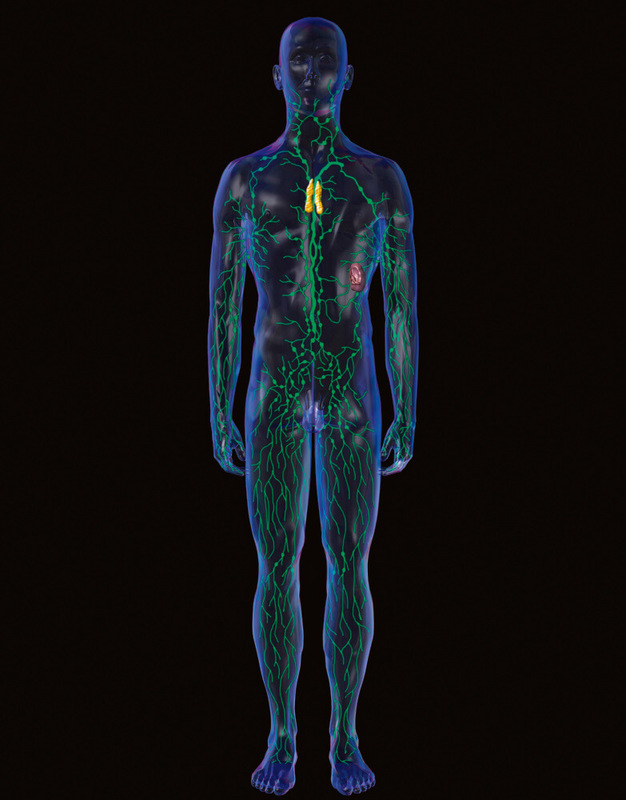 The lymphatic system is a network of nodes, small filters containing immune cells, that are connected by small tubes that carry nutrients around the body. This network acts as the body’s natural sewage system, eliminating dangerous microbes and damaged cells, such as cancer cells. During cancer-related surgeries, such as mastectomies or lumpectomies, doctors may remove the lymph nodes near the tumor to see if the cancer has spread. Removing these vessels makes it harder for fluid in the arms, legs, or other body parts to flow to the chest — through which the fluid can get back into the bloodstream. If this fluid builds up, it can lead to swelling and stiffness where the nodes used to be, a condition known as lymphedema. Infection can also be a side effect. Radiation therapy following surgery further compromises the lymph network, leaving scarring and inflammation. The lymphatic system, a network of nodes, vessels, ducts, tissues, and organs that distributes infection-fighting blood cells throughout the body, plays a major role in the immune system. Although lymphedema symptoms can be prevented and managed in a variety of ways, surgeons are pioneering procedures to restore a healthy lymph system in affected patients. One such procedure, called a vascularized lymph node transfer (VLNT), involves taking lymph nodes from one part of the body – usually from the groin, underarm, or neck – and transplanting them to the limb with lymphedema. The blood vessels providing circulation for these lymph nodes are reattached to the blood vessels in the swollen limb. The new nodes can then drain the trapped lymphatic fluid. When performing a VLNT, doctors must be careful not to cause lymphedema at the site where the replacement lymph nodes are removed. Some lymph nodes drain the limb, while others drain lymph from the trunk. These patterns vary, so a technique called reverse lymphatic mapping has been developed to differentiate these nodes. One type of dye is injected into the abdomen while another is injected into a limb, and the drainage routes are tracked to ensure the safest lymph node removal. Several preliminary studies have reported promising outcomes for VLNT in both early and advanced stage lymphedema, but the treatment is still in its exploratory stages. Learn about survivorship from the Adult Survivorship Program at Dana-Farber Cancer Institute.